Agency chief information officers see the benefits of a potential IT Modernization Fund, but they still have questions, such as what are the penalties for not paying the money back in time, and how long will agencies get to pay it back. Rep. Will Hurd, R-Texas, proposed the Modernizing Government Technology Act (MGT Act), which would provide a fund for agencies to modernize legacy IT infrastructure. This would save agency money in the long term by allowing them to shift money from constantly maintaining legacy systems. However, Brad Wintermute, deputy CIO of the Food and Drug Administration, questioned how long agencies will get to see the savings from that modernization and then pay back the fund. The FDA has several systems in need of an upgrade. Wintermute said that it might take a significant amount of time to see the cost benefits of modernization. 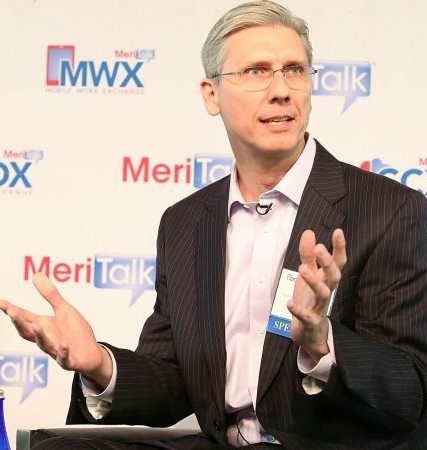 “There’s certainly a need for additional capital to get over the hump,” Wintermute said at MeriTalk’s Data Center Brainstorm on Thursday. The departments of agriculture and state each have their own working capital funds within their agencies. Jonathan Alboum, CIO of the USDA, meets regularly with acquisition specialists and financial officers to discuss the needs and uses for the capital fund. “You have to invest if you’re going to save over a long period of time,” Alboum said. USDA has 17 computer networks that it’s hoping to consolidate down to one to three. In order to start the modernization process, agencies must consider which networks need to be updated. Wintermute was able to find the services that the FDA was lacking to accomplish its mission by creating a cost allocation model. Before this, the FDA had its own IT departments for each data center. Wintermute asked which solutions are going to bring a lower bill and be faster. The FDA awarded a cloud contract in September and the system was operational in January. “We’ve kind of dragged the shadow IT into the lights,” Wintermute said. Alboum said that the USDA has a list of high-value assets and a list of the oldest systems. Networks on both lists are the highest priority for modernization. Alboum said that the biggest factor for a successful IT update is satisfaction of the USDA employees and consumers. Melonie Parker-Hill, division chief of the enterprise operations center at the State Department, said that in order to modernize, CIOs need to be able to explain to executives why the network is important to update and ensure that the new system will be an improvement on the old system. Parker-Hill said that government agencies need to build a workforce that has knowledge of the systems that agencies are using in house in order to solve potential problems. “Don’t give me something new that doesn’t work as well as my old,” Parker-Hill said.